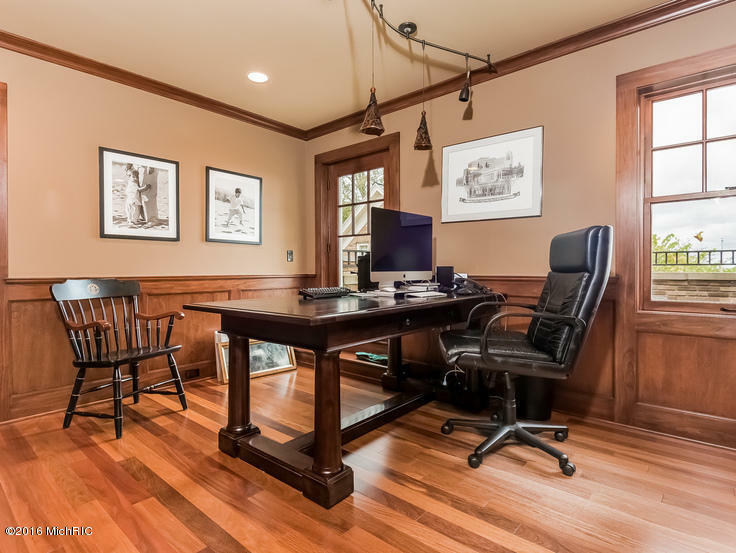 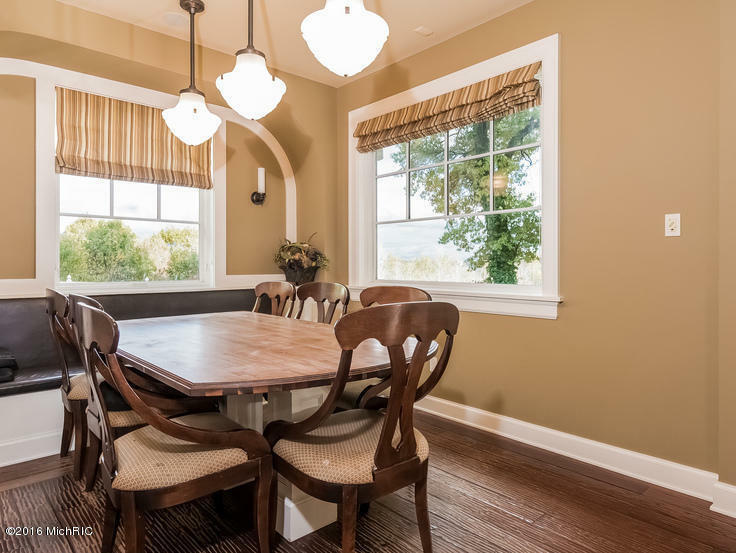 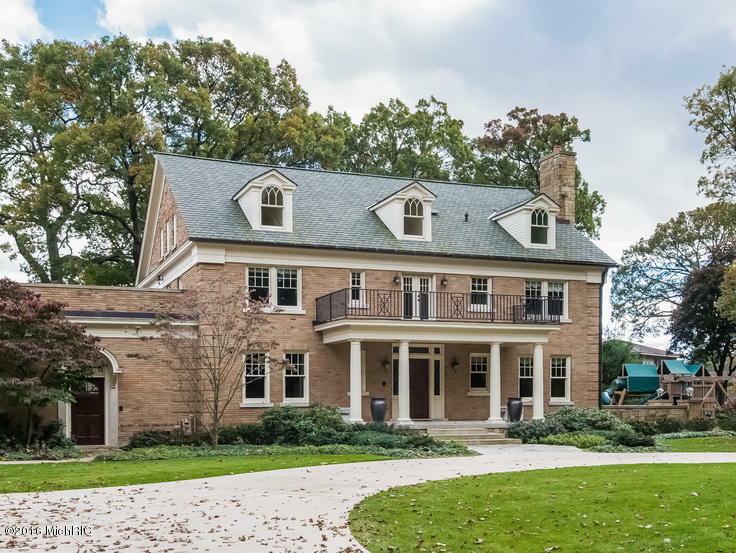 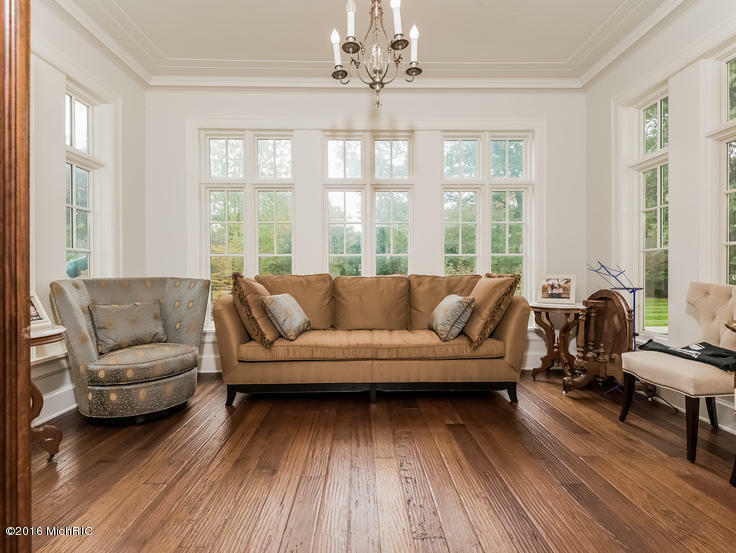 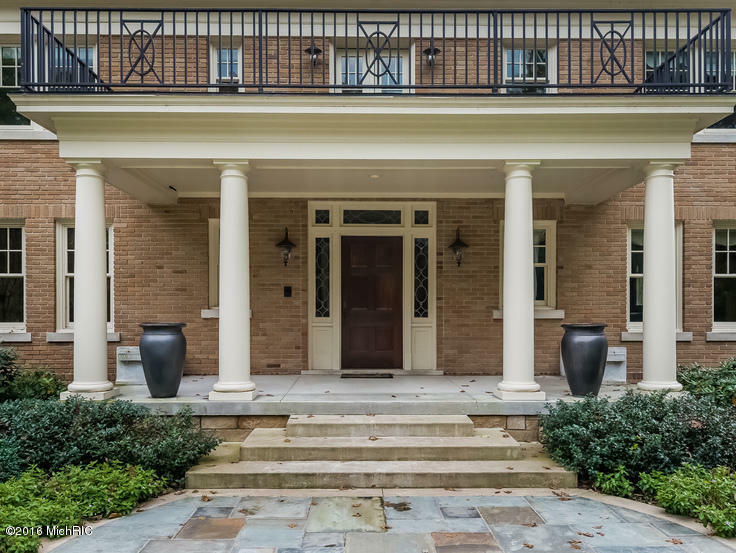 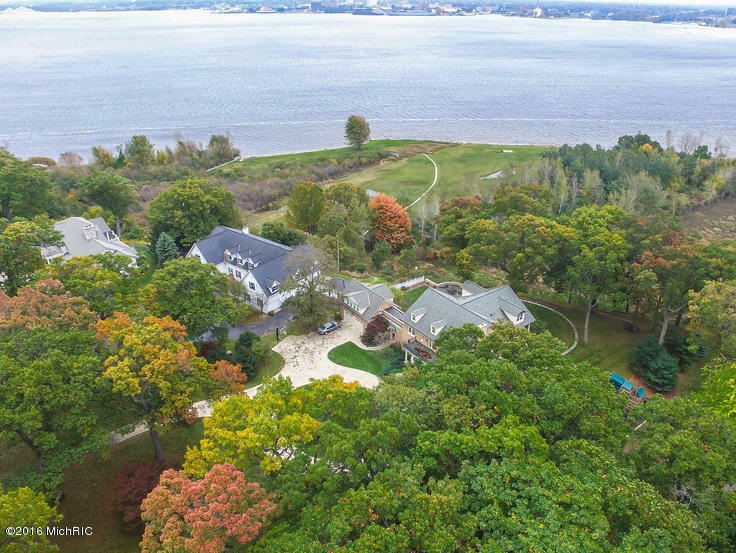 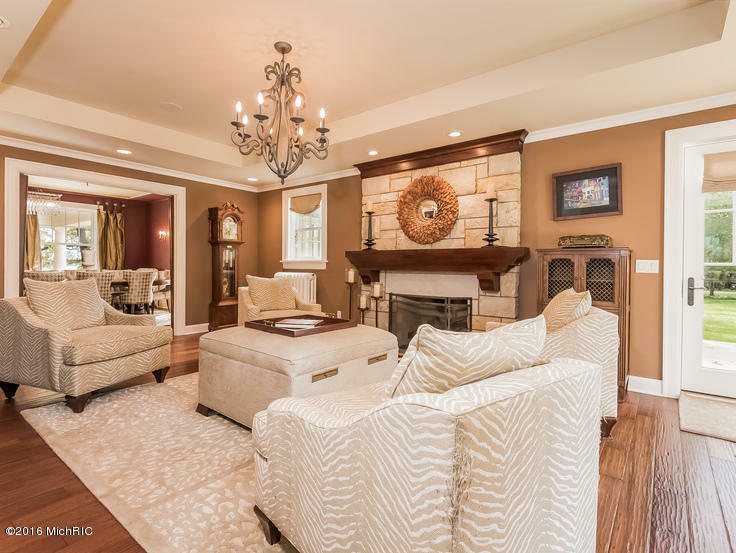 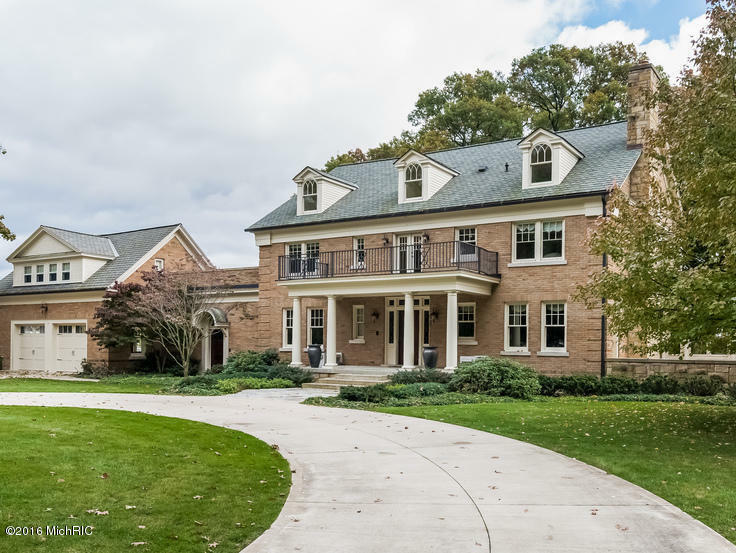 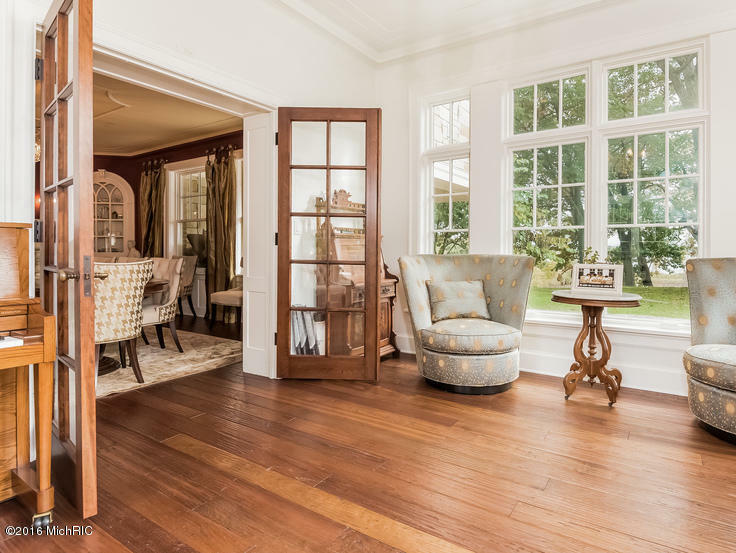 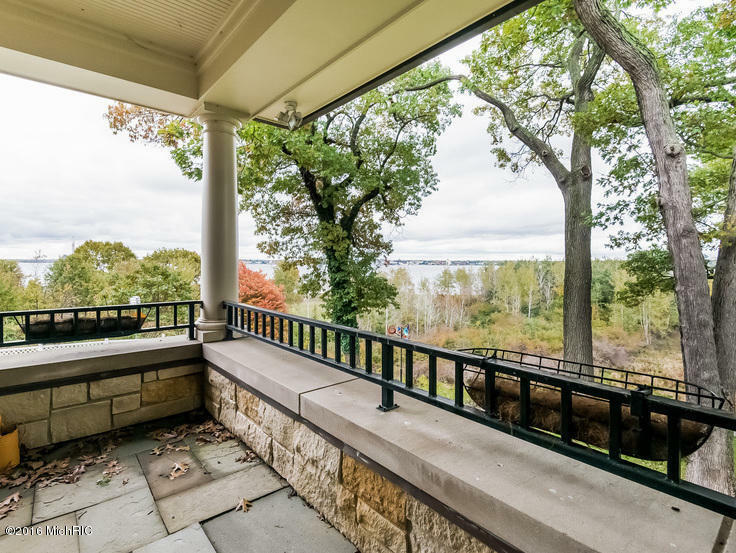 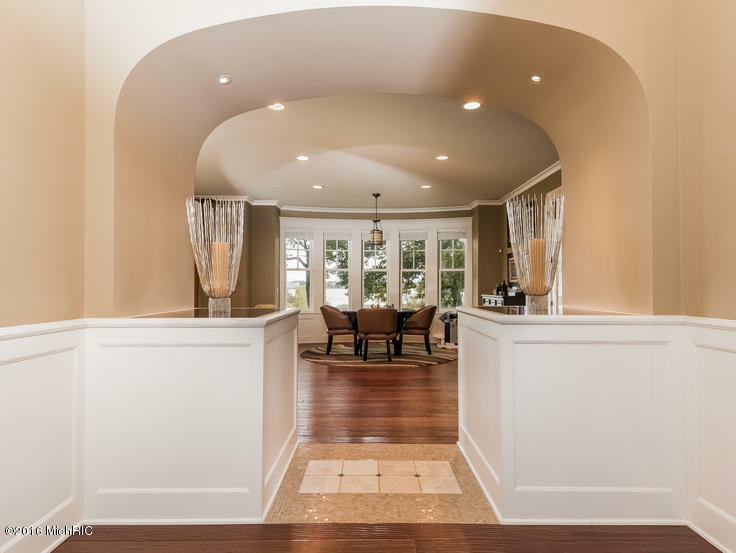 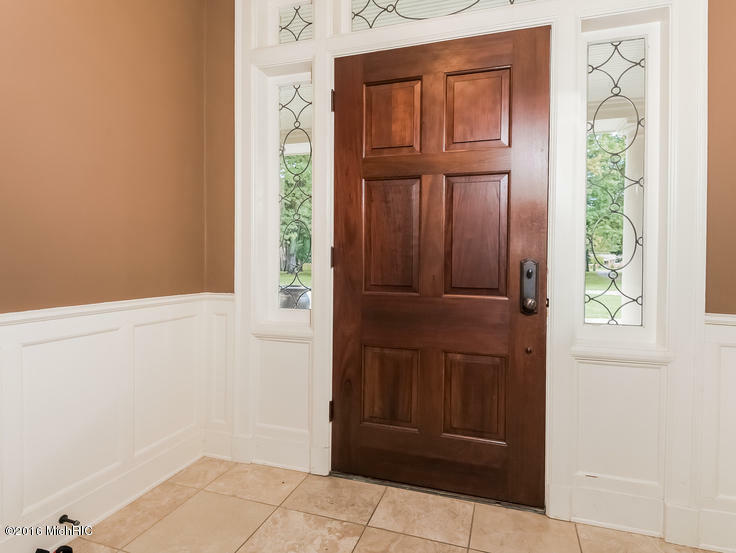 This completely updated Muskegon Lake waterfront home combines the convenience of modern living with the architectural details of the original 1924 Estate. 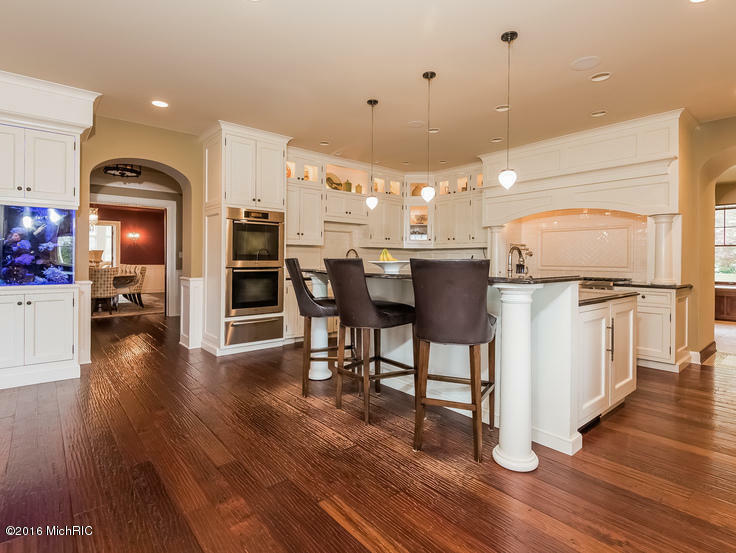 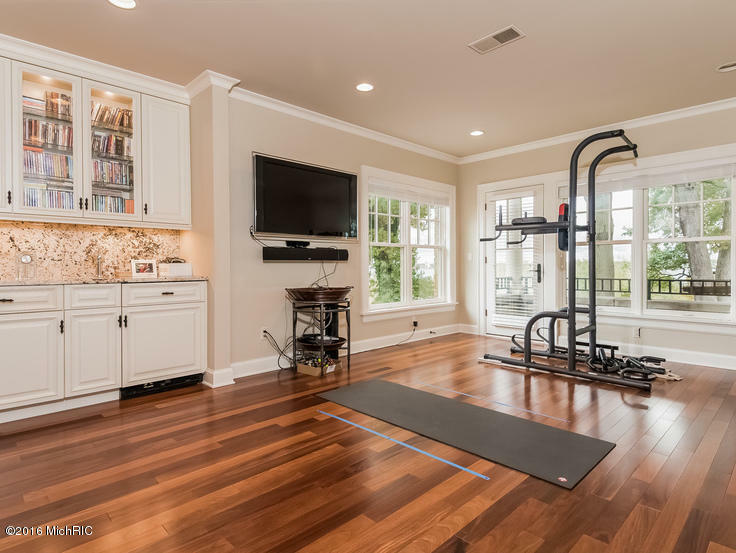 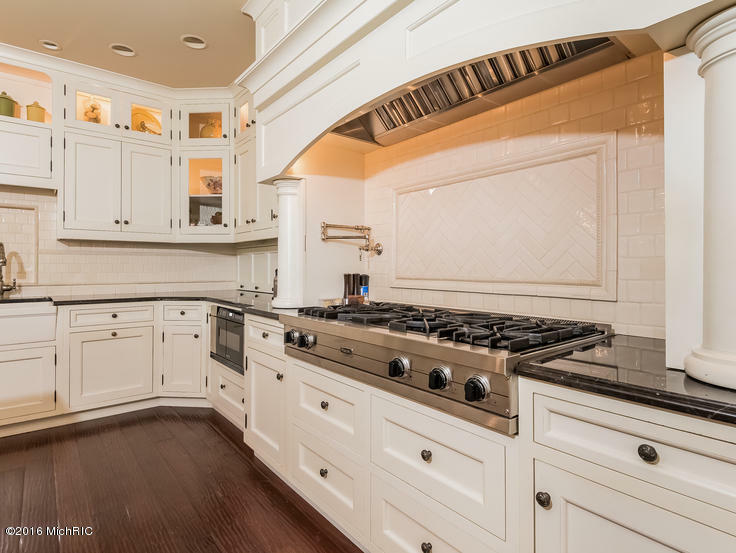 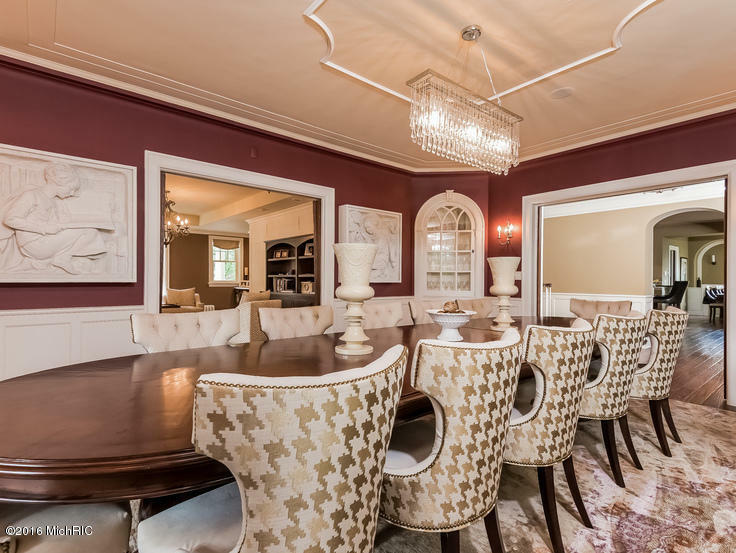 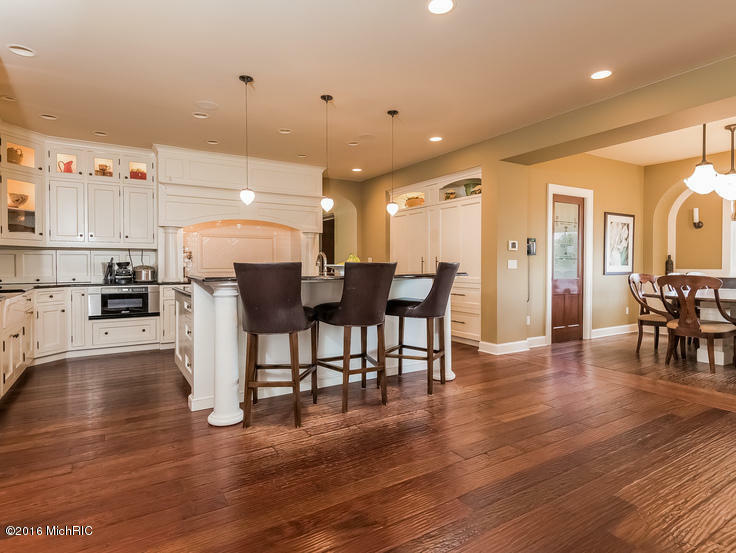 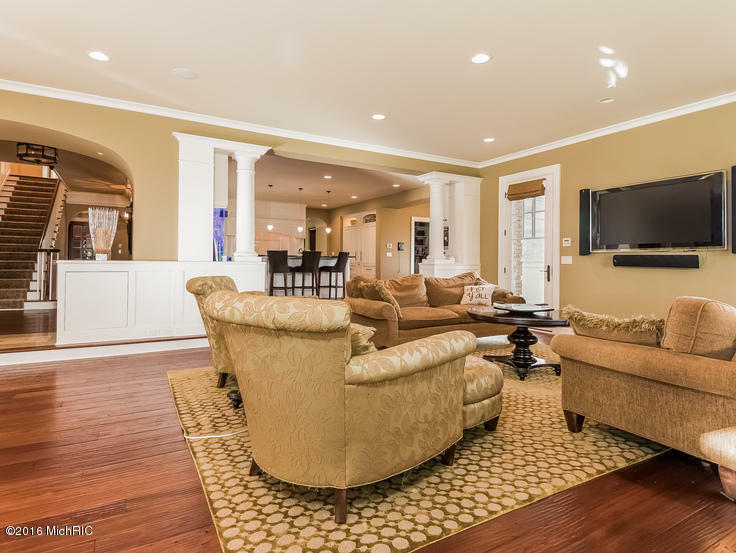 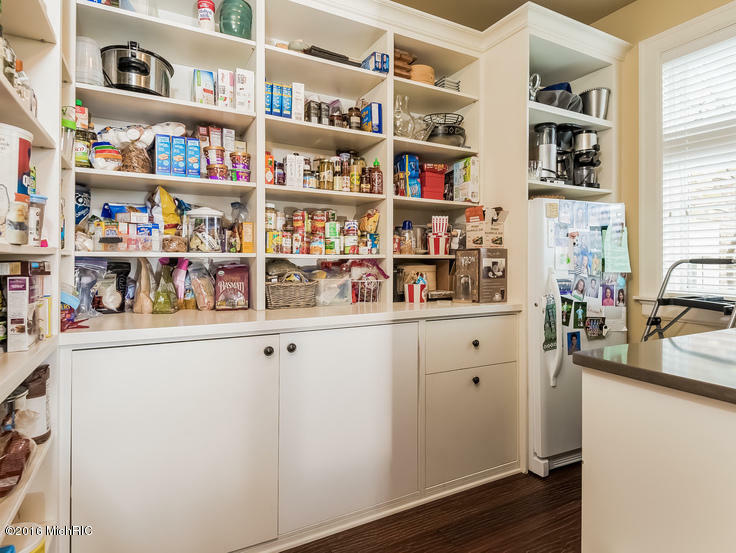 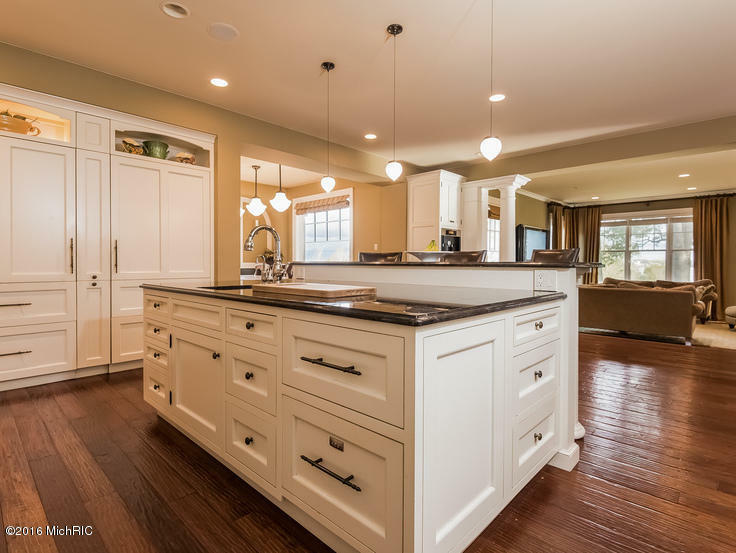 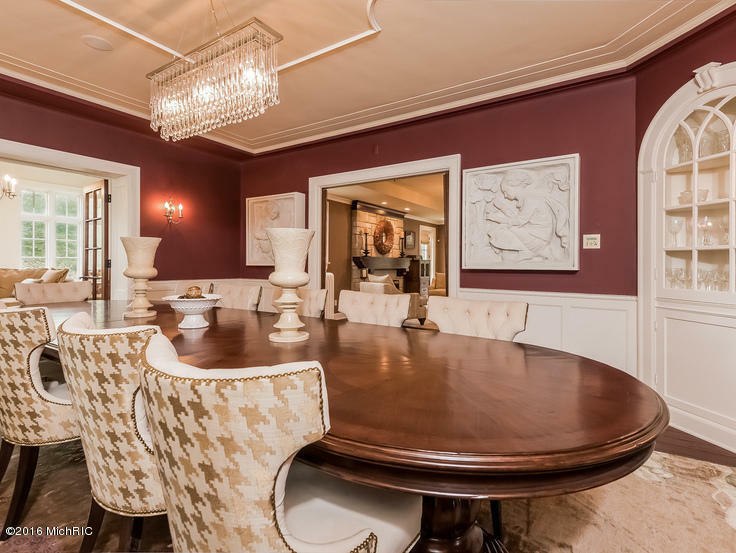 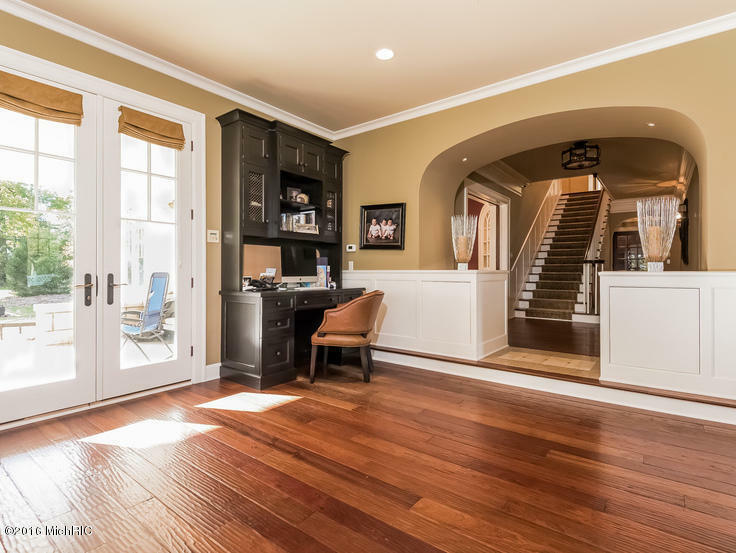 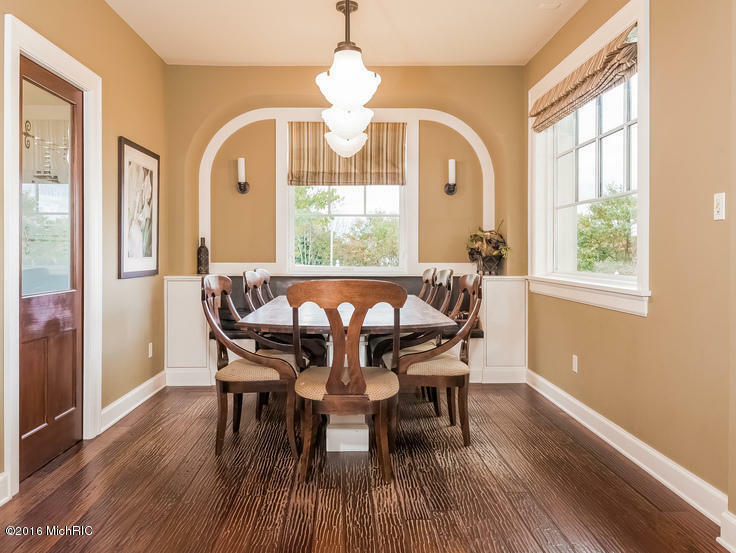 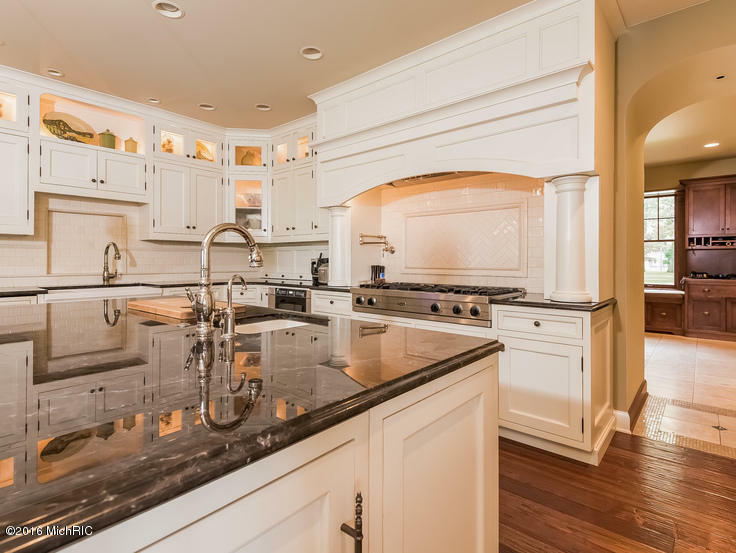 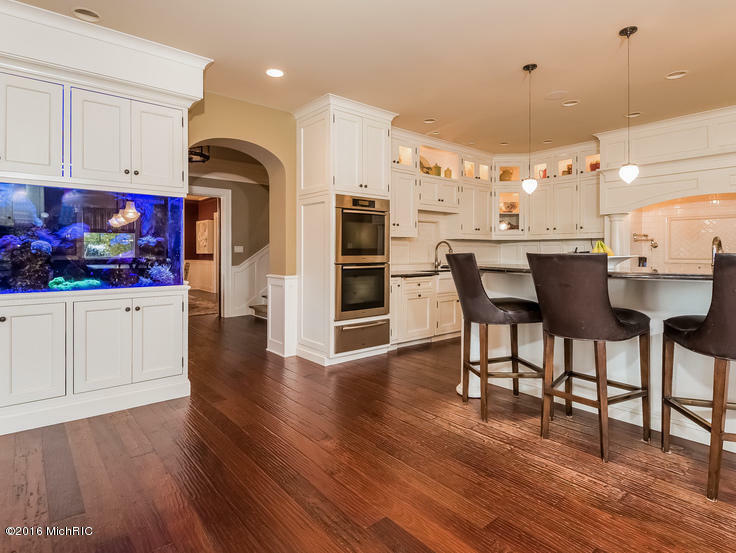 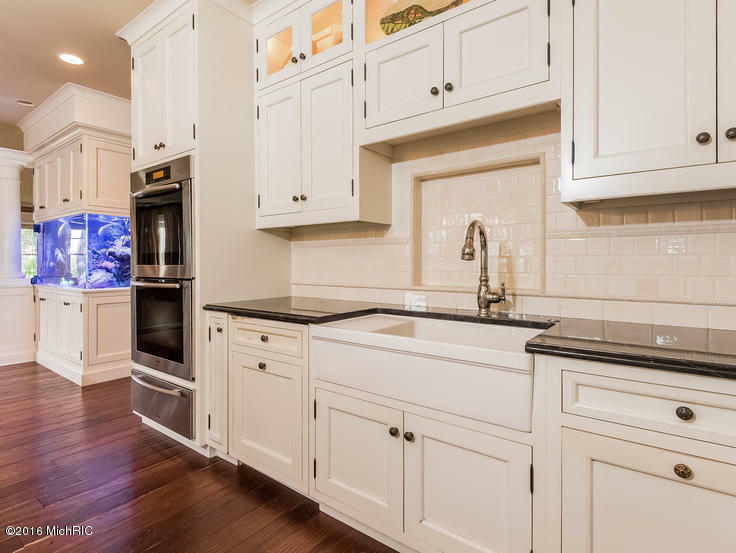 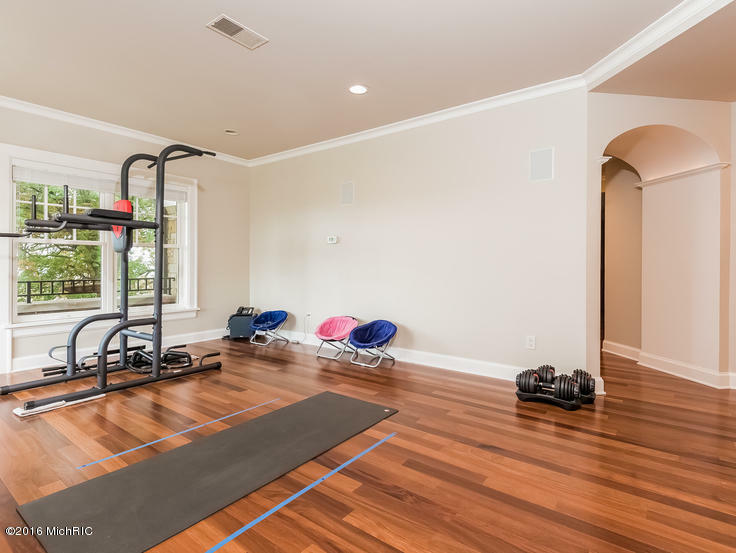 Gourmet Kitchen, guest quarters over the garage, open concept living between kitchen and great room, bowling alley, wine cellar, and a shaving station with multi spray shower in master bath, are just a few of the fabulous amenities. 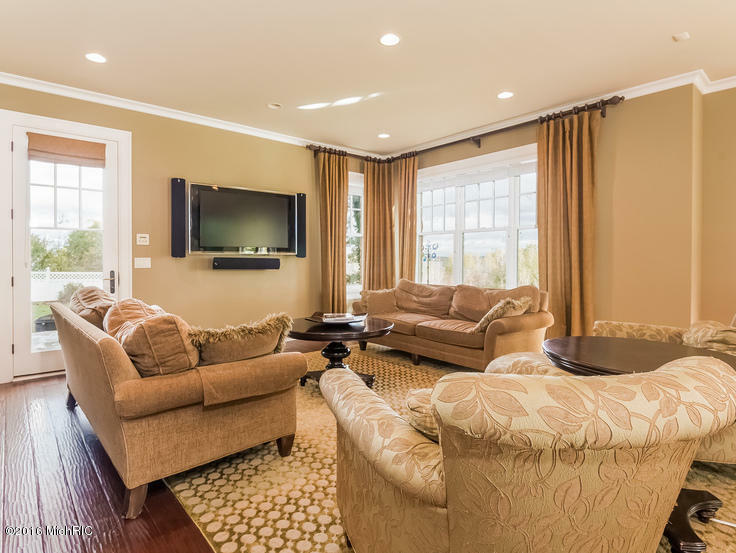 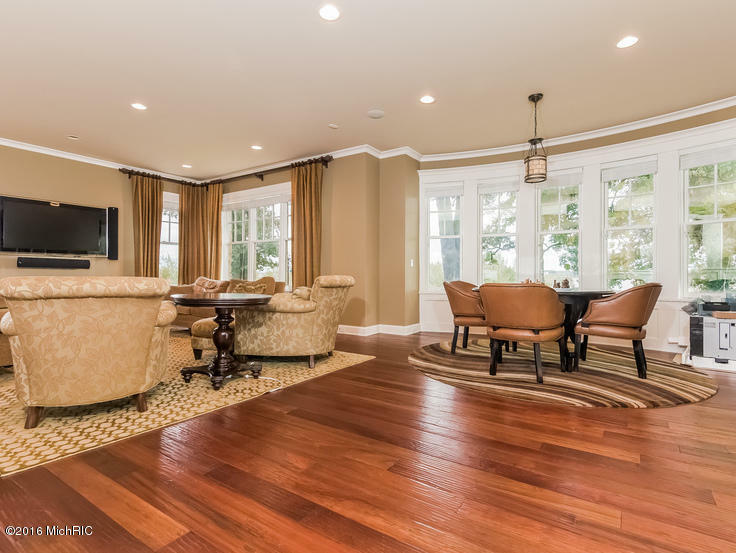 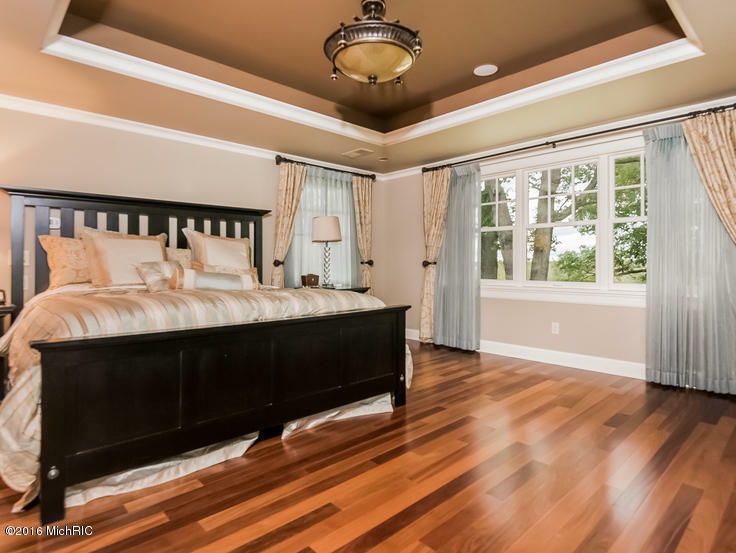 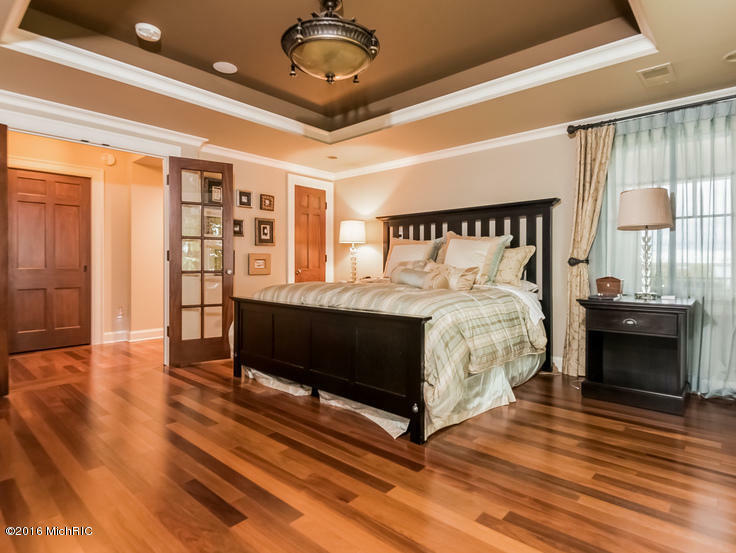 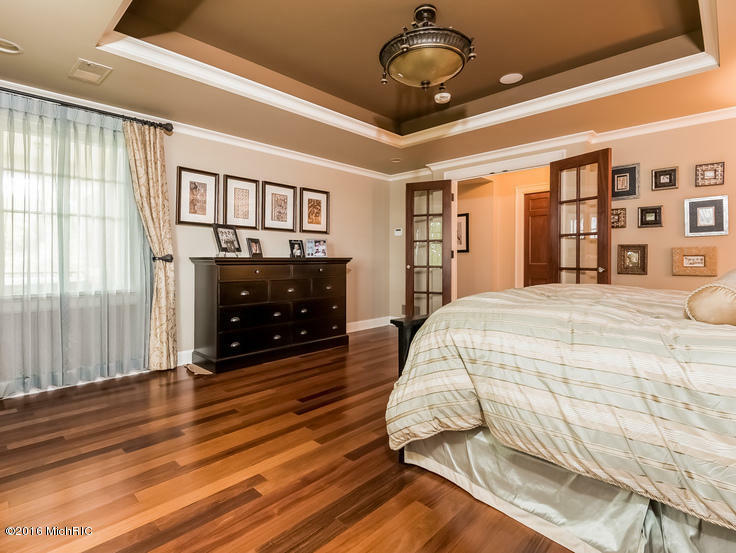 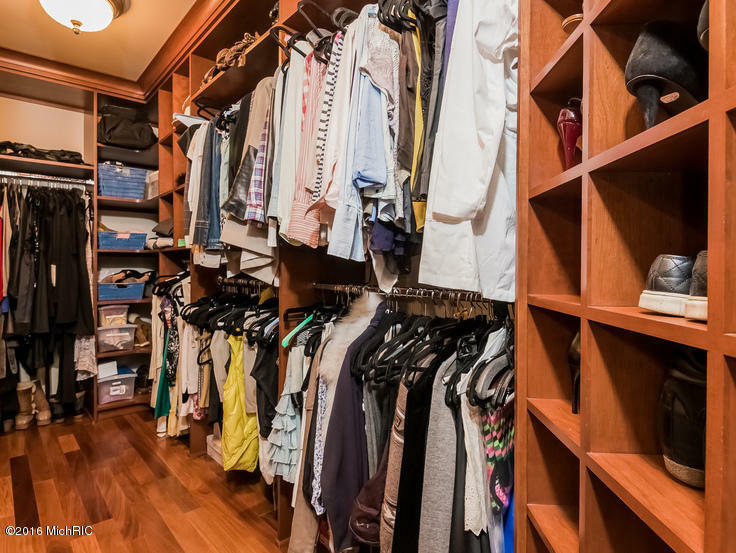 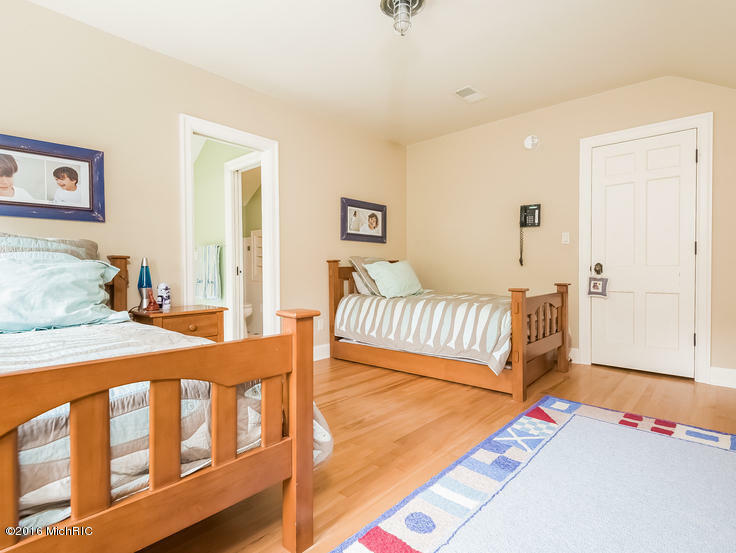 The second floor has a 3-room master suite with bedroom, office, sitting room, bath, large his and hers walk-in closet, and 3 private balconies. 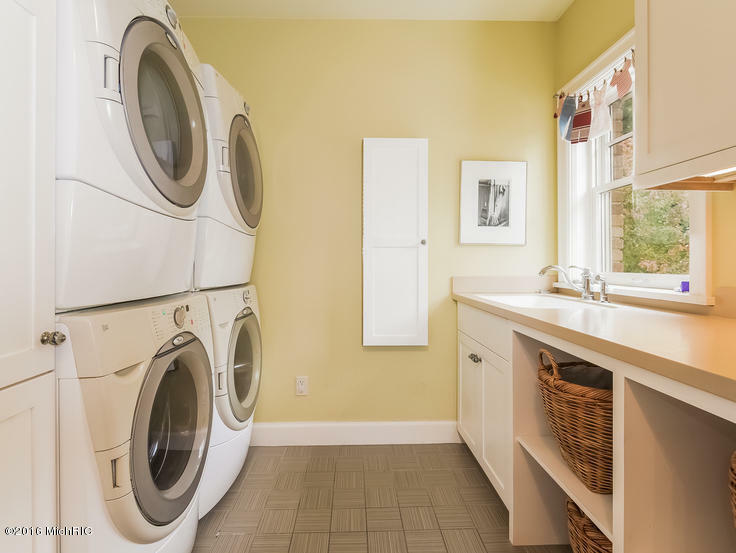 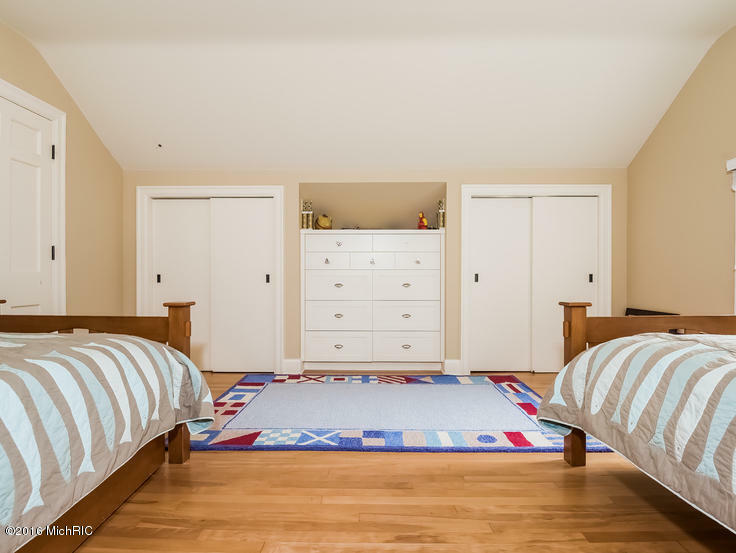 2 more bedrooms each with their own baths, a hidden playroom and laundry complete the second floor. 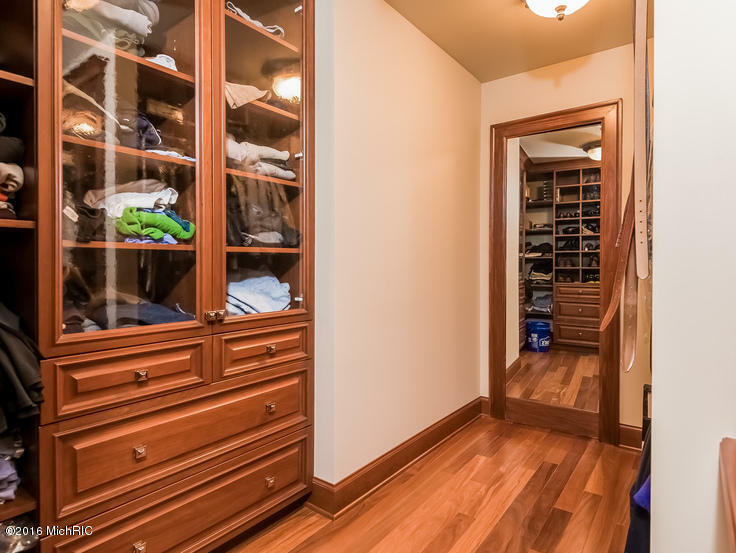 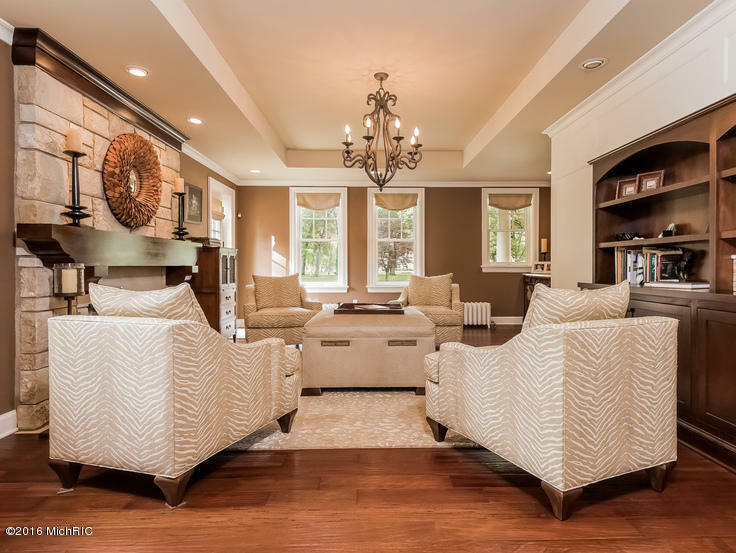 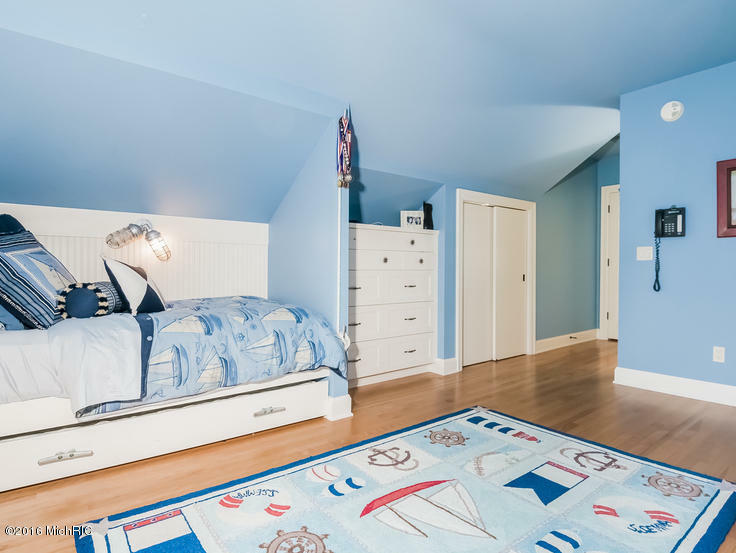 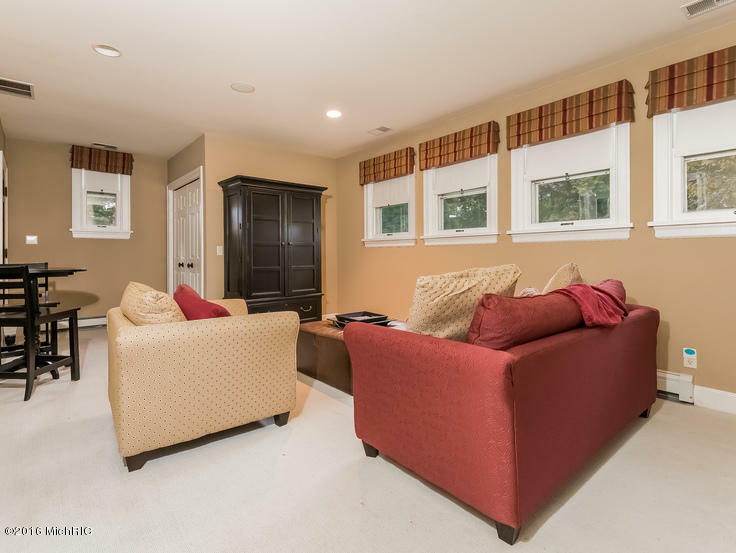 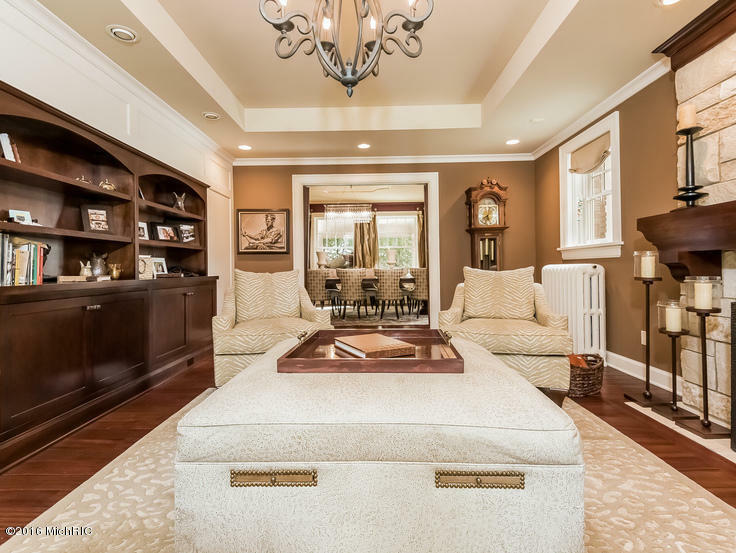 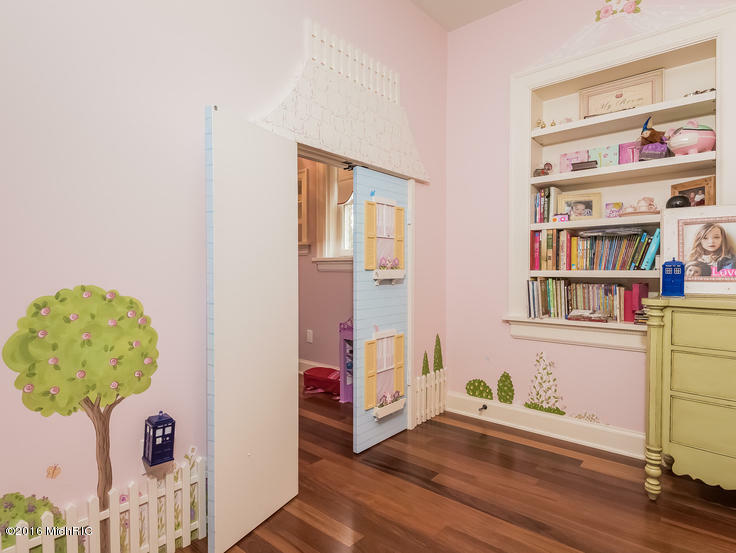 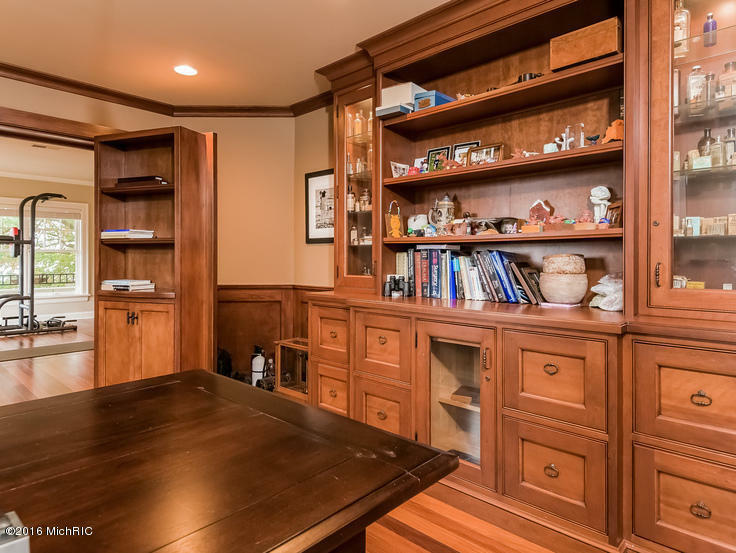 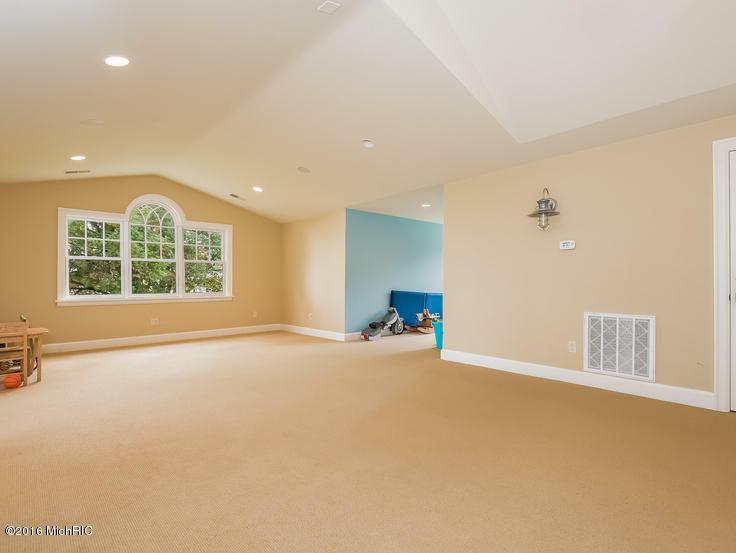 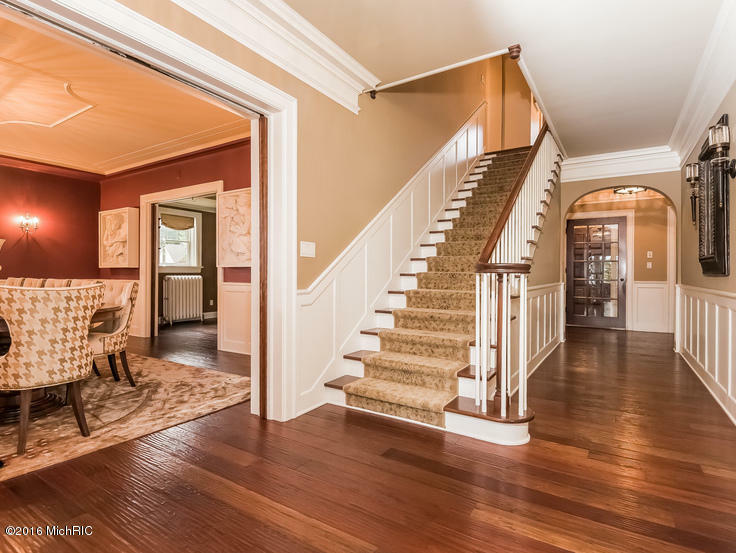 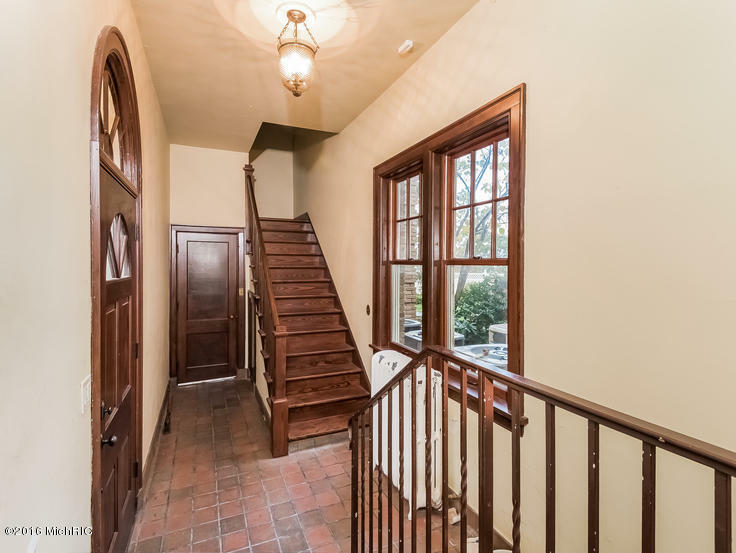 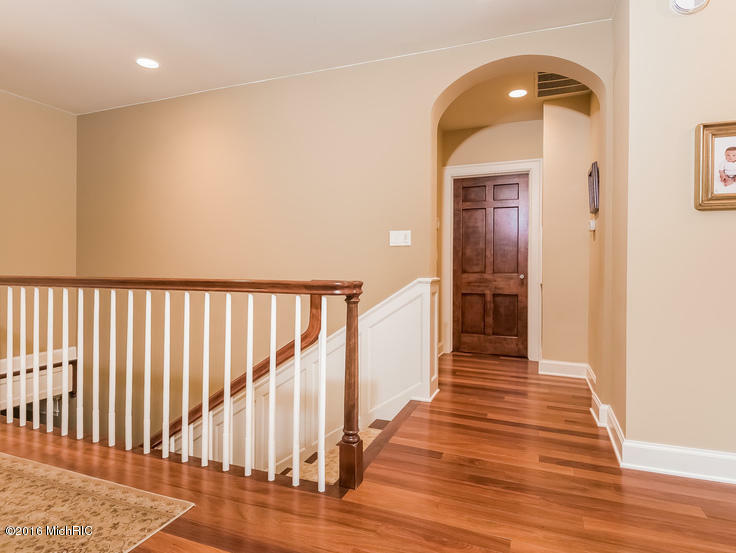 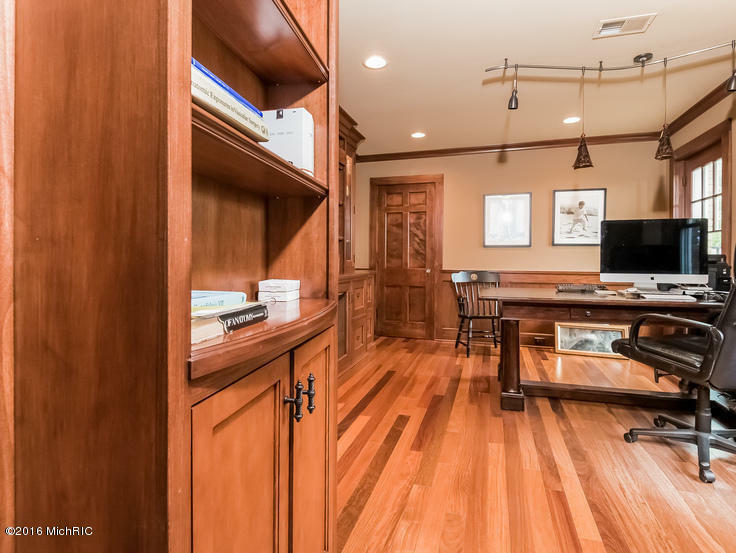 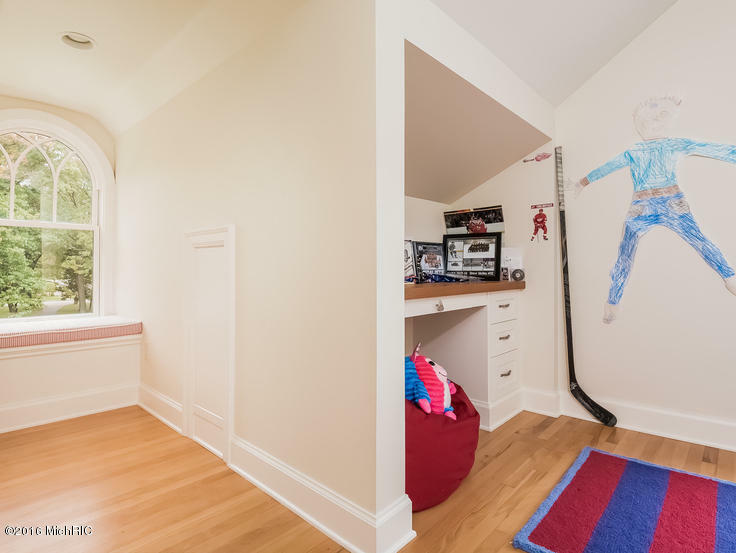 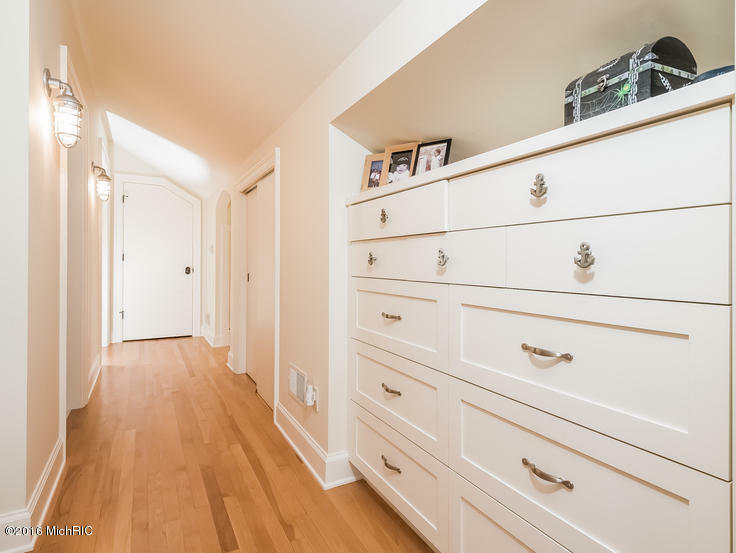 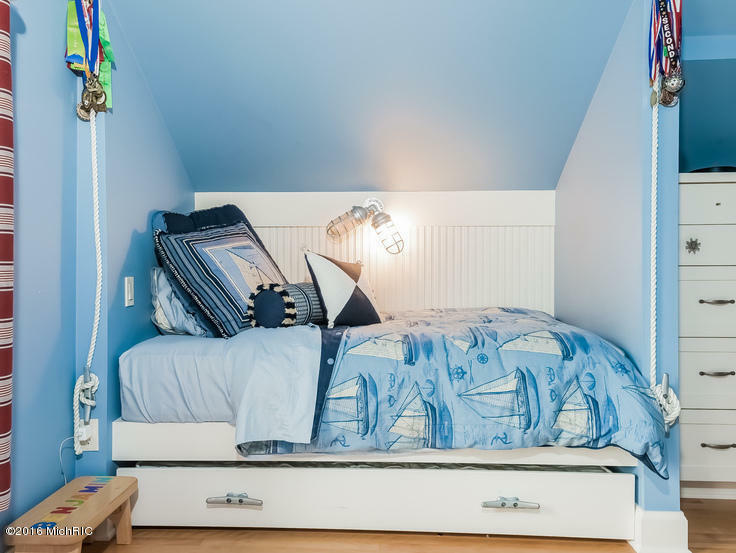 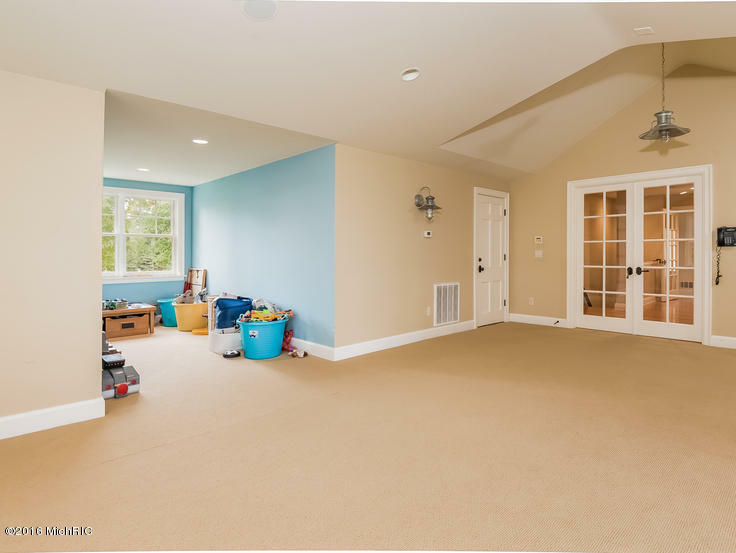 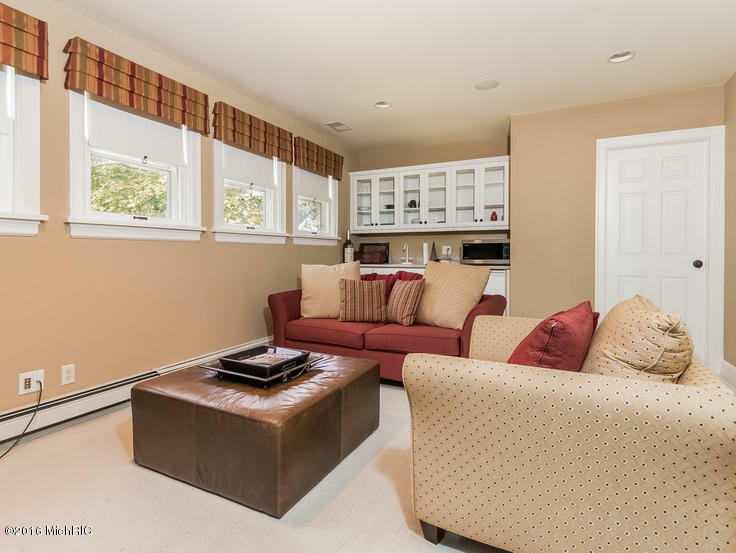 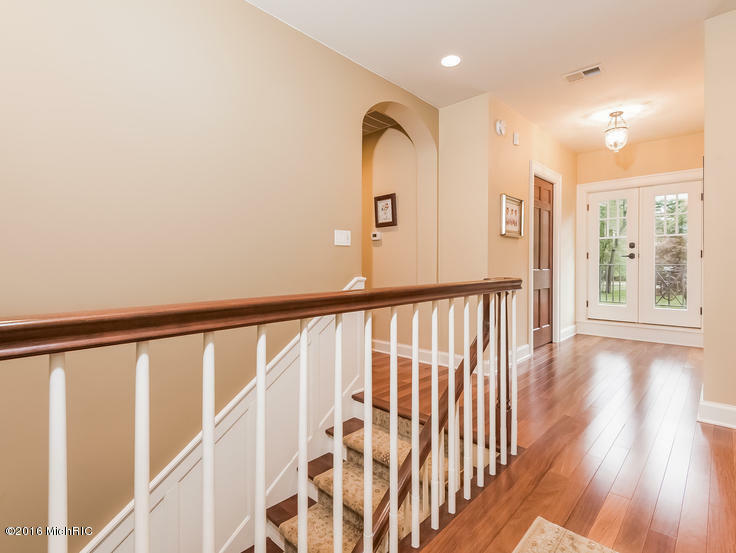 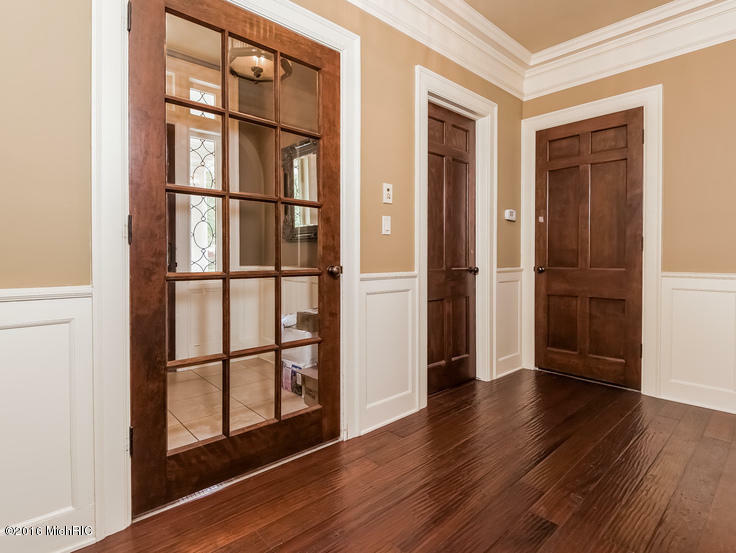 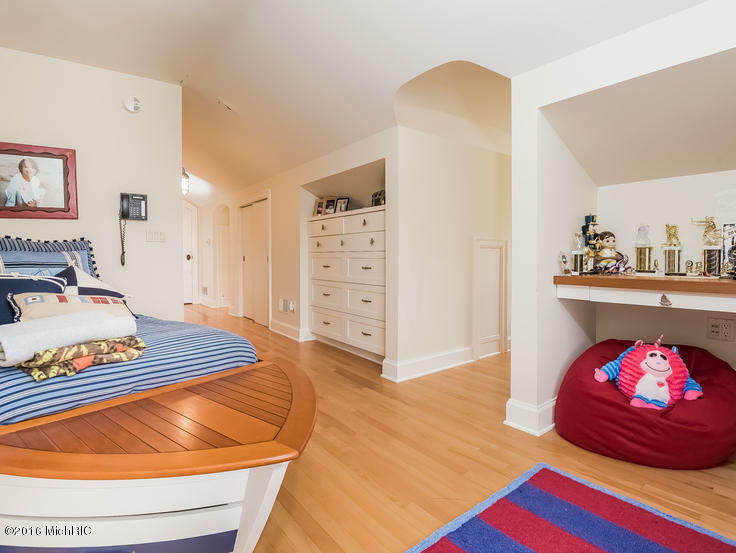 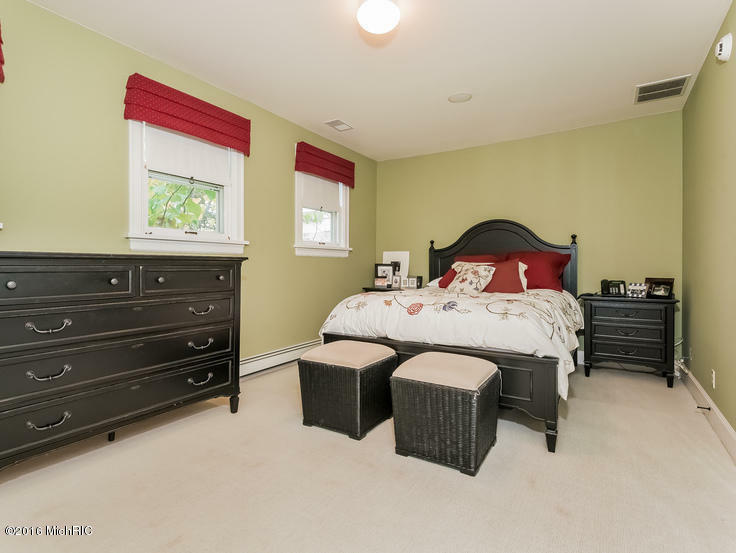 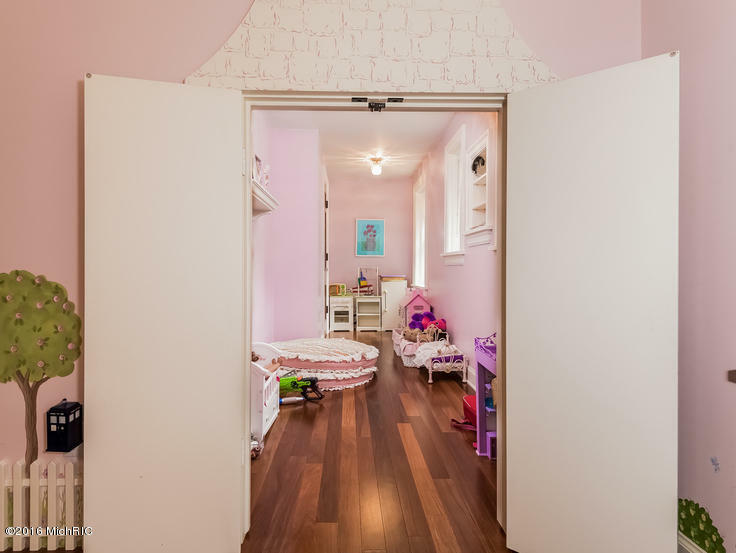 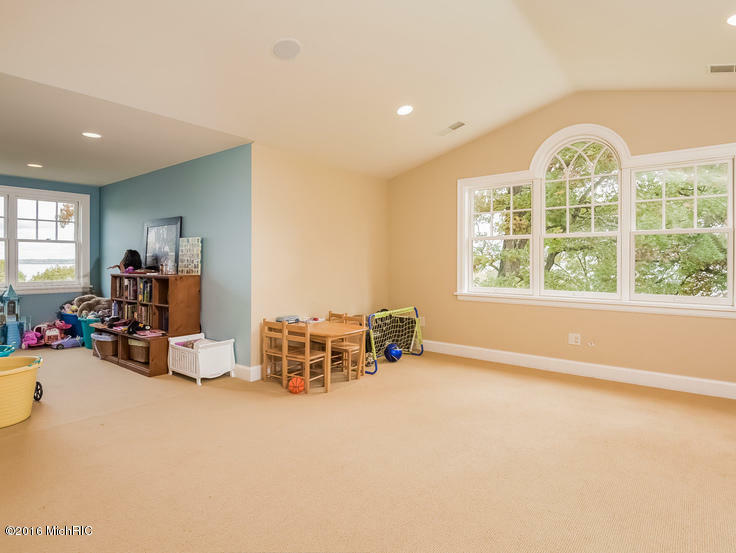 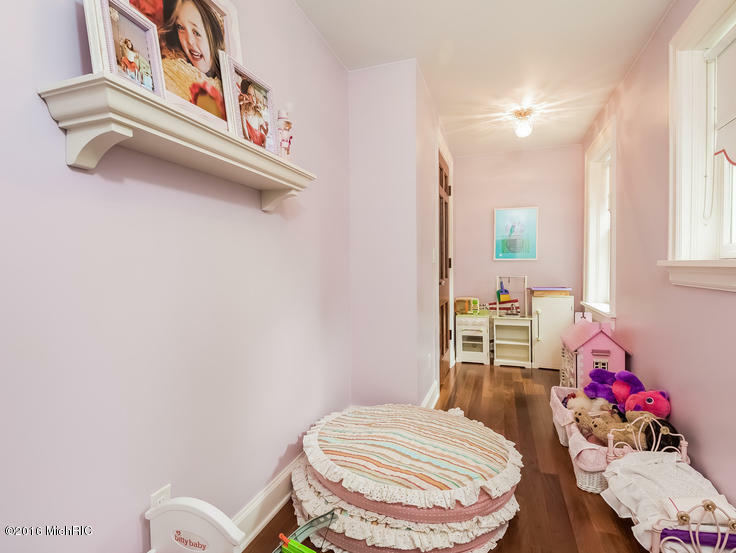 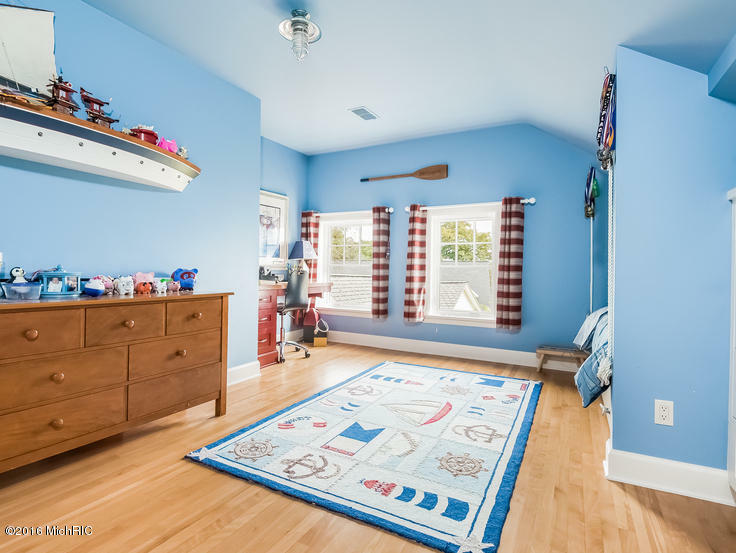 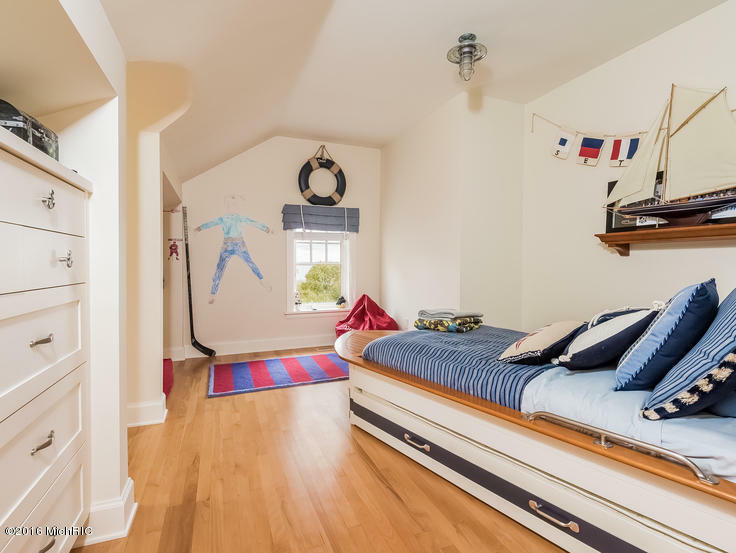 3 bedrooms are on the 3rd floor along with a large playroom and two reading alcoves. 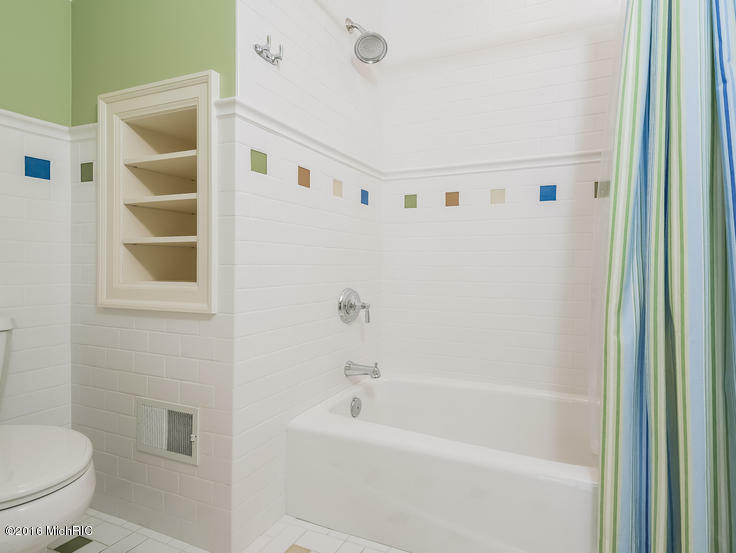 2 bdrms are joined by a Jack and Jill bath, and the third has own full bath. 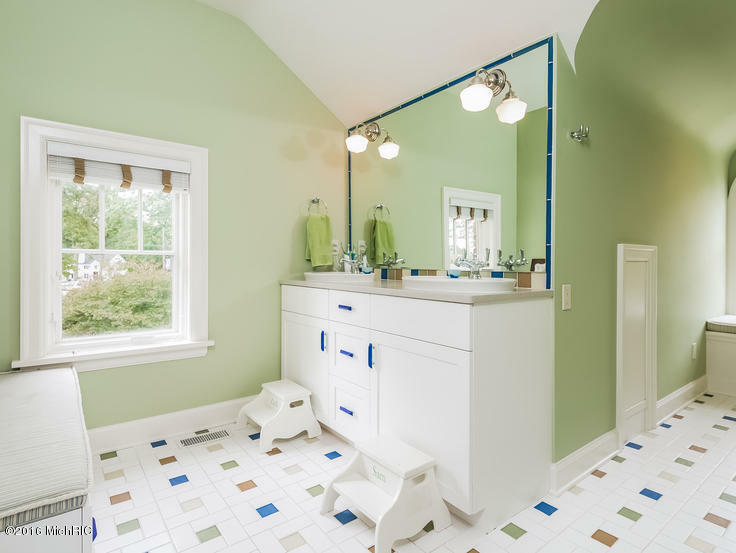 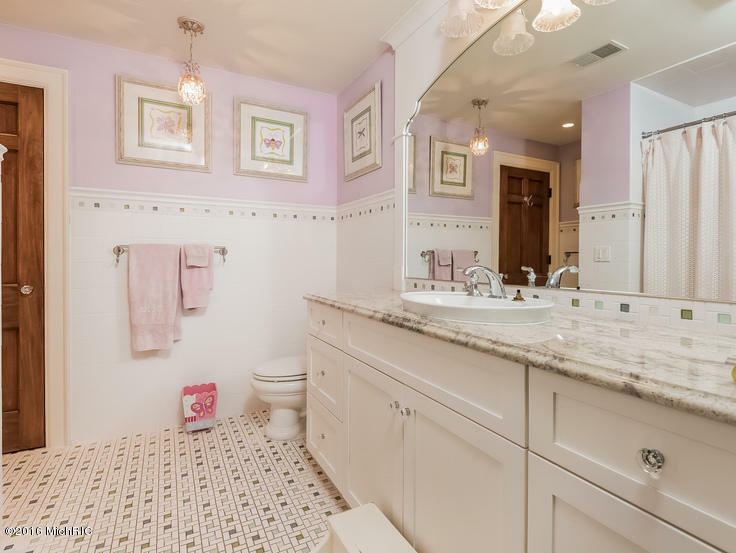 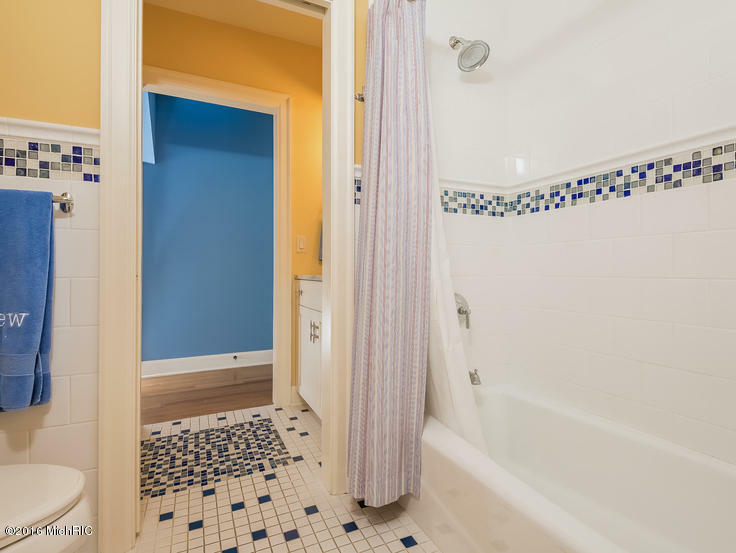 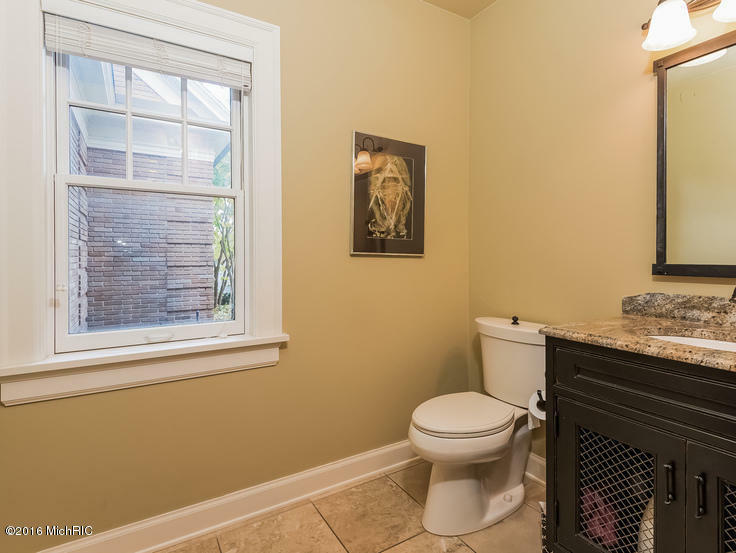 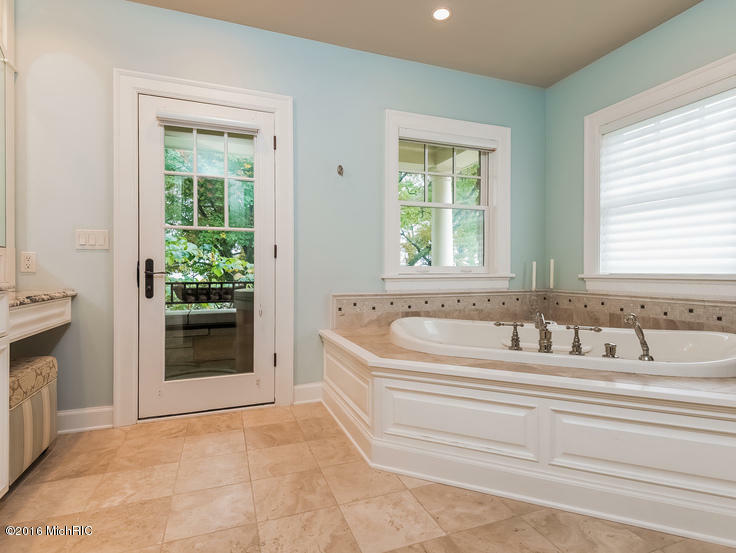 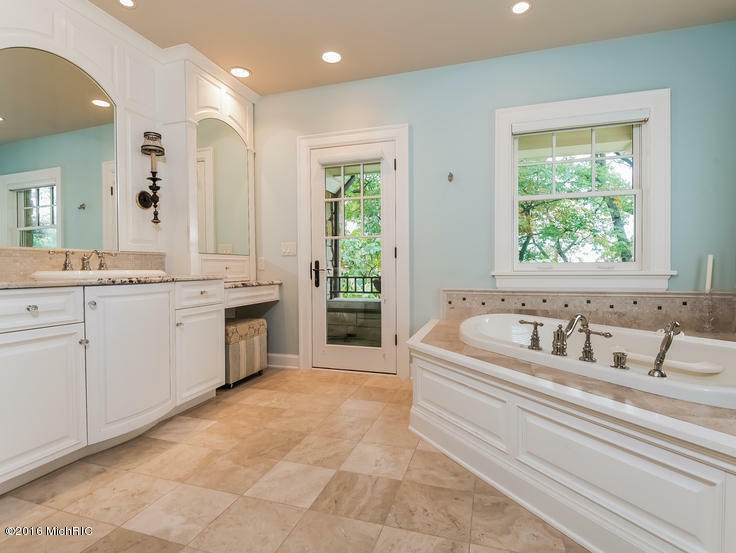 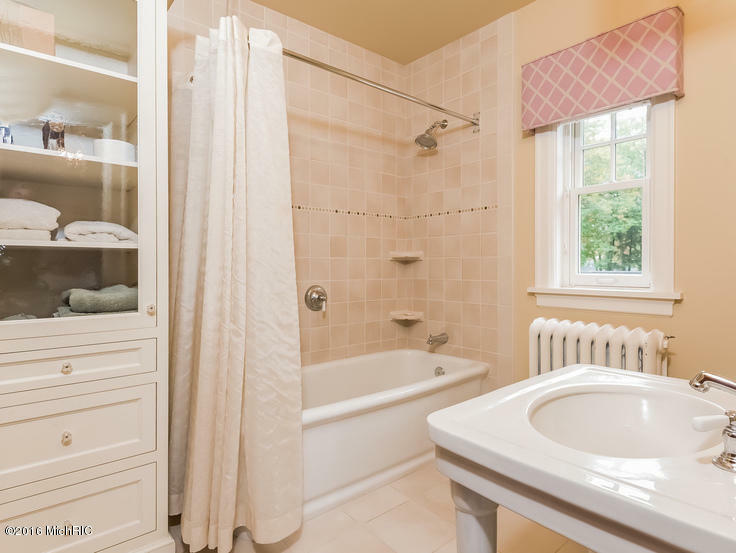 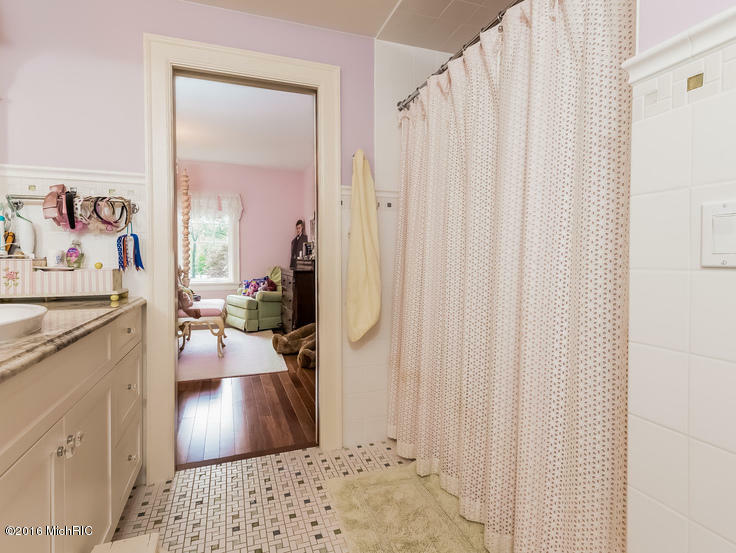 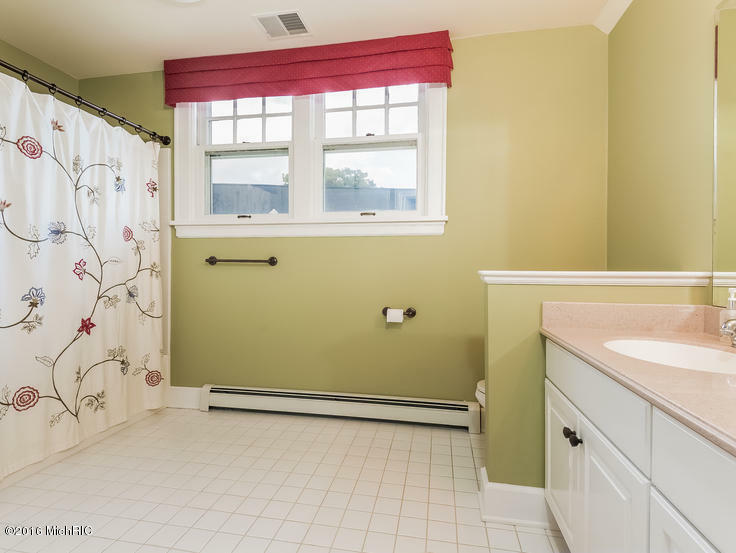 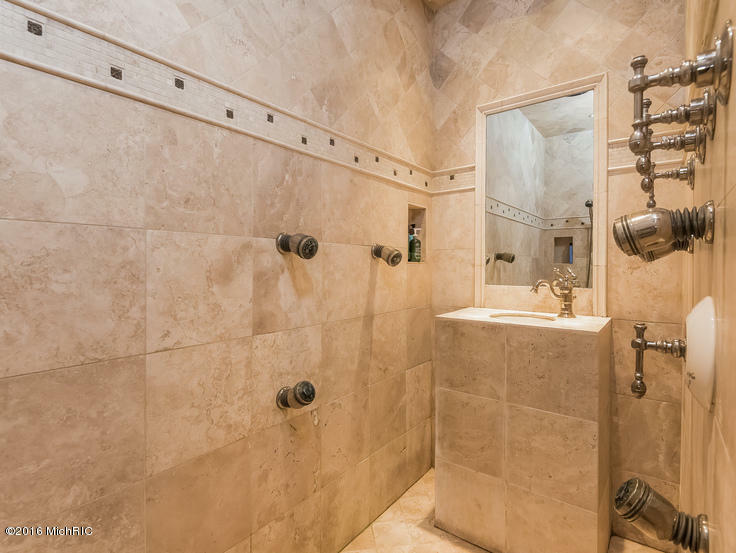 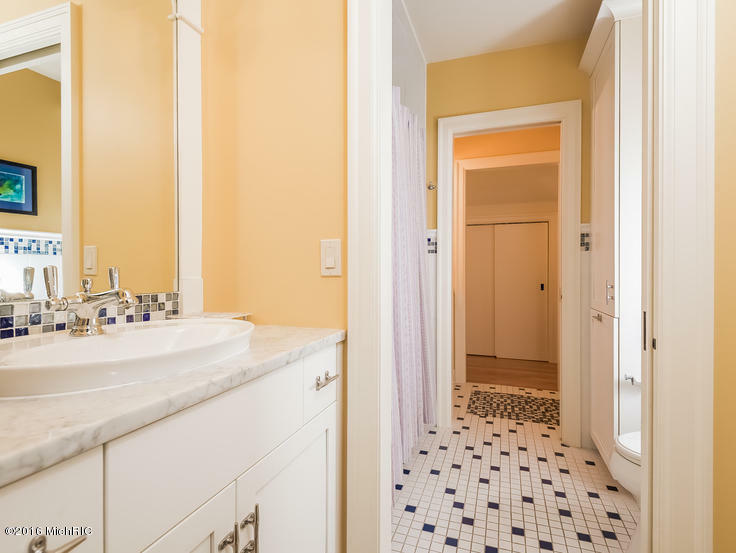 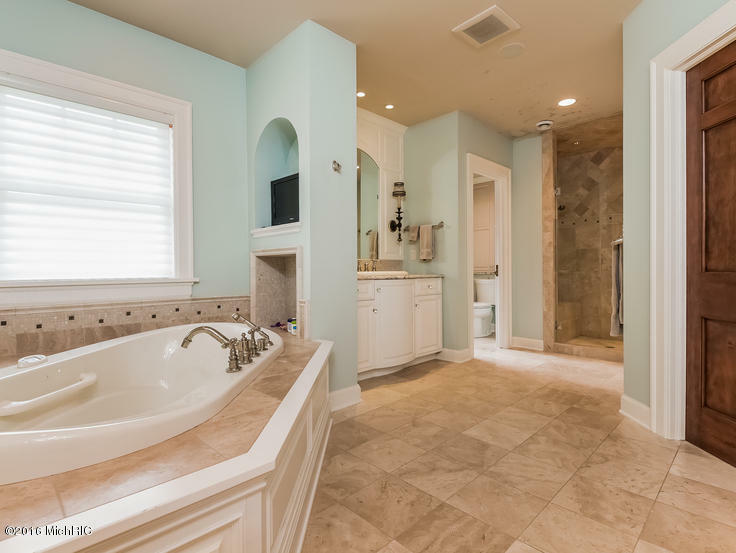 2 bedrooms are joined by a Jack and Jill bath, and the third has its own full bath. 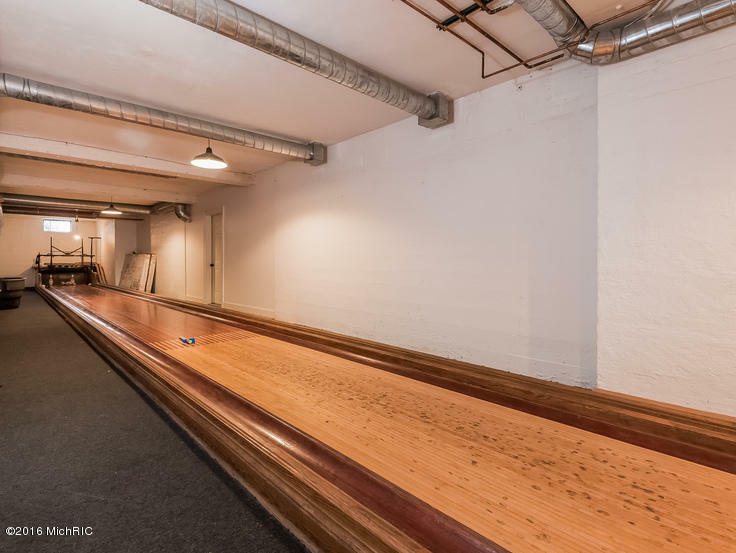 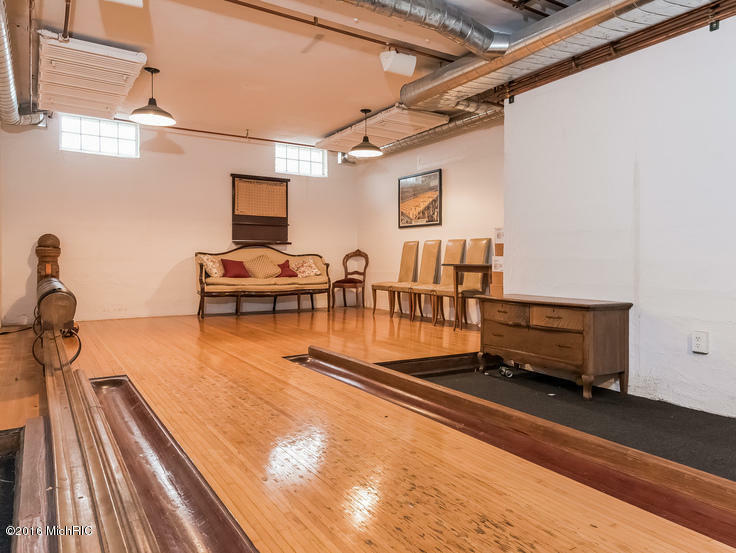 To top it off, the basement boasts a wine cellar and vintage bowling alley. 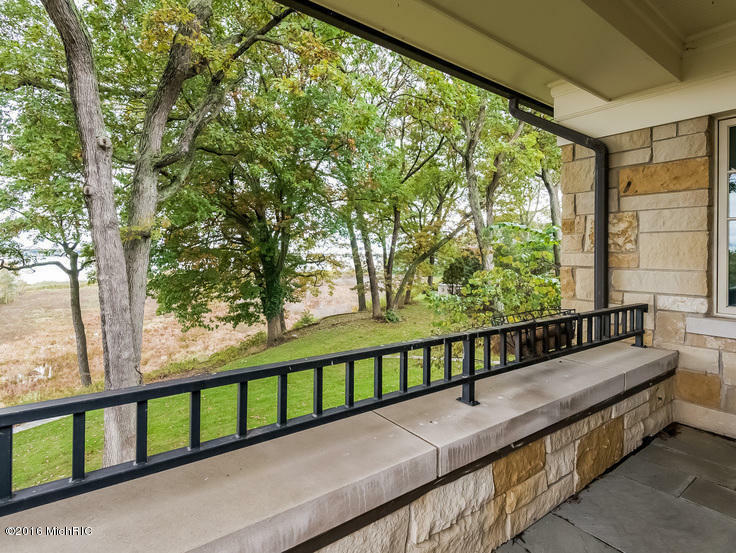 Several balconies, porches and patios provide plenty of outdoor living space to enjoy Muskegon Lake. 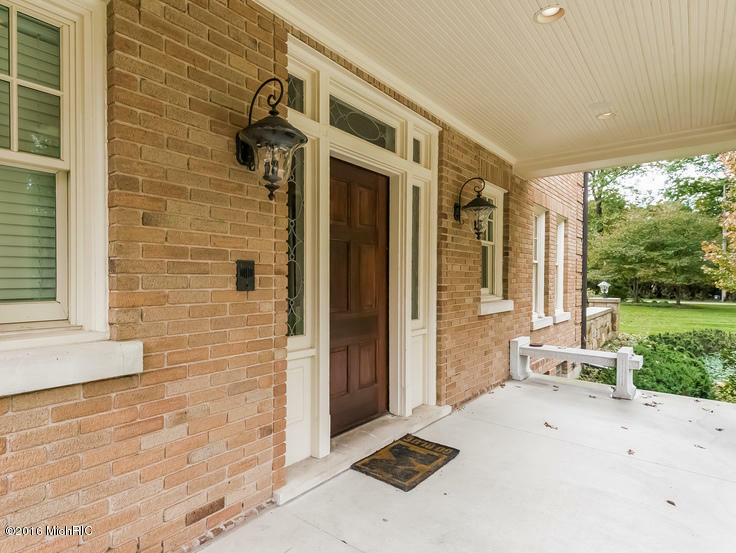 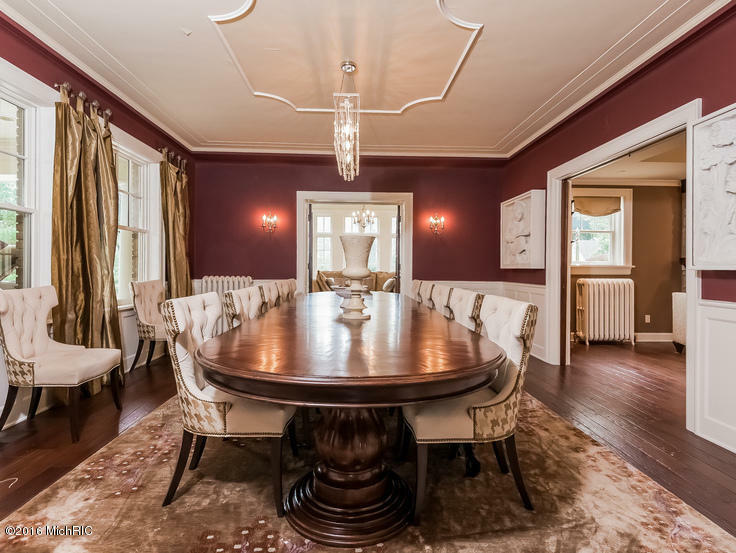 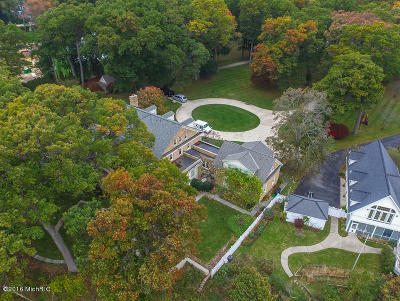 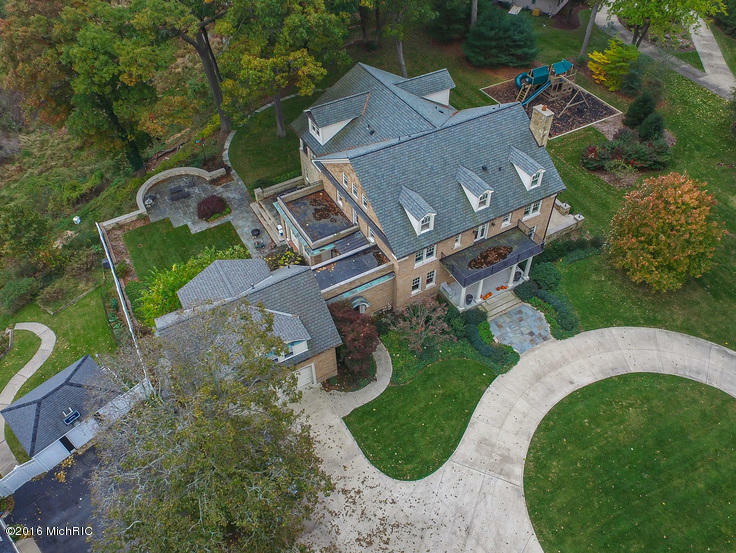 Situated on over 8 acres, the home is set back from the road with a winding drive. 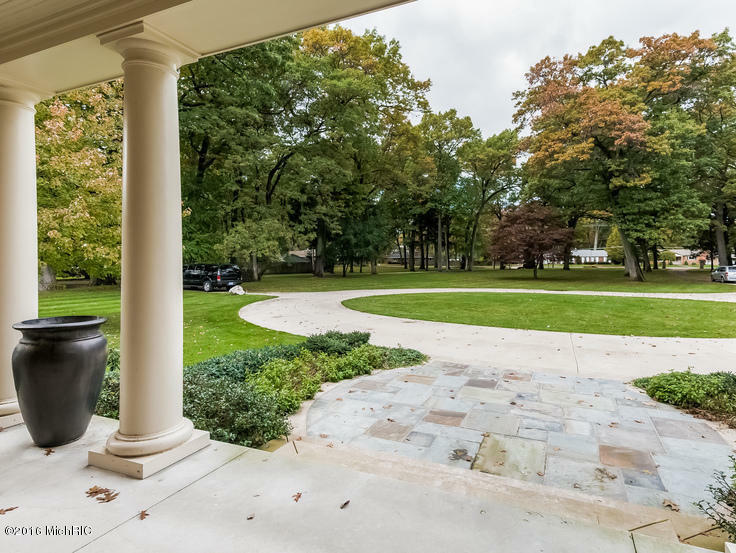 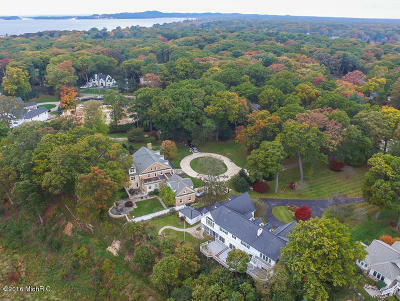 The yard is professionally landscaped with natural beauty down to the lakefront. 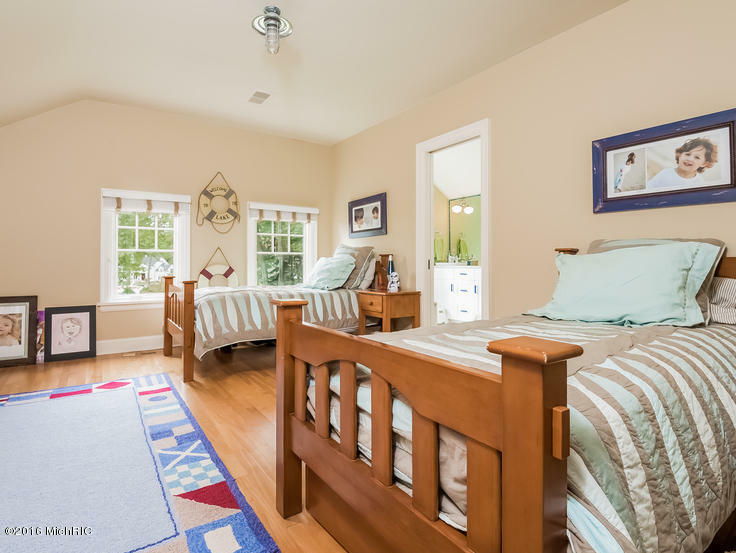 North Muskegon is close to beaches, state parks with natural dunes, and boasts top-rated schools in Michigan.